Vote in our Wall of Fame Competition! 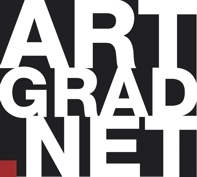 ArtGrad is celebrating its second birthday with a Wall of Fame Competition 2012. It’s a competition with a difference – anyone can vote - all our commercial buyers and friends (yours as well!!) who view the site will be asked to vote for their favourite artist from the 9 we've carefully whittled the entrants down to. The Prize Winner will benefit from a specially written press pack – about them and their work done by a professional PR agency. It’s something that will help them on their way to developing their career. Click here to go to the competition page - and cast your vote!